The Red River Valley Figure Skating Club is a member club of US Figure Skating and serves skaters from the Fargo, North Dakota and Moorhead, Minnesota area. Skaters who skate recreationally and those who skate competitively are welcome to skate with the Red River Valley FSC. All a skater needs is a desire to learn and the love of skating. Advanced skaters are taught by professionals on a one-to-one basis and can set their own pace of learning and involvement. The Red River Valley FSC consistently produces USFS Gold Medalists and has produced regional, national and international competitors. The RRVFSC holds four to five test sessions per year: usually in February, June, July, & November. These test sessions are held to provide coaches and skaters with several opportunities to achieve their goals. All tests are conducted in accordance with USFS Test Rules. 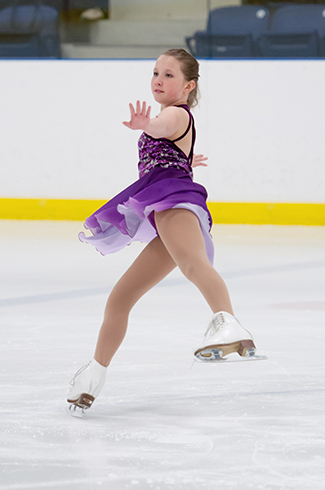 The USFS testing program provides the means for assessing a skater's proficiency in the four disciplines of skating-freeskate, dance, moves in the field, and pairs. Copyright © 2018 Red River Valley Figure Skating Club - All Rights Reserved.